My Favorite Homeschooling Item (link-up) | House Unseen. Life Unscripted. Learning is natural. Curiosity is natural. All we have to do, especially in the very beginning, is to facilitate (and maybe bribe a little when it comes to long division [totally evil]) and provide an environment for that natural curiosity to result in the acquisition of knowledge. Oh Mr. Globe, how I love thee! For the first 1.3 years of homeschooling, we used a flat map of the world. That was okay. But when a curious 5 year old starts asking about how day and night and seasons and planets and time work, a map just doesn't cut it. So he asked for a globe for Christmas (true story). You guys, not a single day goes by that someone isn't using that globe. It is amazing. Geography? Check. History? Check. Reading? Check. What time is it in Malaysia when it's 11 a.m. here? Check. What country looks like a snazzy boot kicking a misshapen potato? Check! Do you have a favorite homeschooling item? Slap it in a post or grab the link and add it here. Help some sistahs out! When my sister and I were being homeschooled, we loved our globe too! But mostly because it was an electronic one with a geography quiz game and would tell us very seriously to "Find Djibouti!" Oh, we were such serious students. Girl, you know Djibouti is a subject of MUCH conversation 'round these parts! I don't have a blog, so no post or linky. But my favorite tool is my Homeschool Tracker on my computer. Keeps me organized, easily makes assignment lists, keeps track of grades for my older kids. Love it! Don't forget this important question: Where is South Korea and how can I get my mom to fly us all over there for a visit? And clear a space for my exchange students, okay? Love this idea! Taking diligent notes...and shopping for that awesome pencil sharpener! If you love geography, you should consider doing Journey North Mystery Class. We are doing it with a group this year and really enjoying. It's not too late to jump in: http://www.learner.org/jnorth/tm/mclass/How.html Confusing at first, but super fun as you figure it out week by week. I do need to get a globe. I am adding my post to your linky up, but I see that I am not alone in declaring Homeschool Tracker my favorite :) I hope more post their faves since I like to see what helps other mamas out. 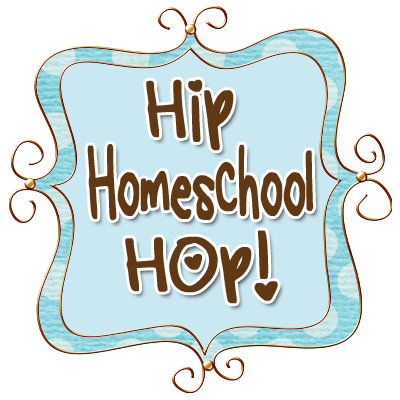 Sarah - I listed Homeschool Tracker as mine, also! Love it! Hey when it is 11AM in Michigan it is midnight in Malaysia. I know because I live in Singapore right now! Which is right next to Malaysia. Your post just inspired me to get on Amazon and order a globe again. We had one a few years ago, but the stand was cheap plastic, and it broke. The globe then became dented/cracked. Buh-bye, globe. I just found one made in the USA with a metal stand! Score! Okay, I homeschooled for 9 years, up to 6th grade. I have a TON of material I won't be using anymore, and can't bring myself to give to Goodwill where I know it will sit and mold. I don't know any homeschoolers currently, so I am going to email you with a list of stuff you can have absolutely free. Don't know why I am sending this as a heads up, I am just a weirdo, and I imagine your inbox is three miles long and you won't see it until March. Of 2014. Another globe lover here. Although I still wish we had the one my inlaws got rid of a few years back; when you lifted the top, there was a liquor cabinet inside. That would totally be my favorite homeschooling item. Now I'll have to think of something else and link up ASAP. Thanks for the link up! We love our globe, too. Alas, I am not a homeschooler, Dwija. I love educational toys, though, and have a favorite find. May I link up? I love the Preschool Prep videos. Highly recommend those!